Click here for the original Farmer's Wife Magazine, the letter written by Emansipated in Nebraska can be found on page 14. The first week of July 1937 witnessed a sudden escalation of international relations in China with the Marco Polo Bridge incident, a skirmish between Chinese and Japanese soldiers that sparked the Second Sino-Japanese War. Tensions between the Chinese and Japanese had been high since the Japanese invasion of Manchuria in 1931. After the end of the First Sino-Japanese War certain agreements were made regarding military deployment and territorial control. By 1937 the Japanese army had deployed 15,000 soldiers around the port city of Wanping, a number well above the established agreement made in 1931. On July 7, shots rang out and withing hours both armies had reinforced themselves, and scattered fighting culminated into the first charge and official start of the Second Sino-Japanese War at 4:50 July 8, 1937. The Second Sino-Japanese War lasted from July 1937 to September 1945 and ended with the Japanese capitulation to the United States at the end of World War II. The war was a result of Japanese imperial aspirations and resulted in an estimated 6,800,000 - 15,600,000 military deaths (Japanese and Chinese combined) and 17,000,000 - 22,000,000 Chinese civilian deaths. Today the war is still a point of contention between Japan and China that is reflected in trade relations and allegiances with other neighboring nations such as North Korea and Taiwan. Both countries have been pressured to make a show of amends with nation wide actions, China to deescalate its naval strength, Japan to rewrite high school text books and curriculum that glosses over the brutal nature of it’s military history. News of war and atrocities in the far East were not unknown in the West, but Americans were unwilling to intervene in a conflict far away that had nothing to do with American interests. Particularly since most Americans still remembered those who had died fighting for European allies in World War !. Prior to Pearl Harbor, most Americans were content to tend to their own problems, mainly national politics. The Senate struck down Franklin D. Roosevelt's "Court Packing Plan," an attempt by the president to increase the number of justices on the Supreme Court from 9 to 15, give justices the chance to retire at 70 with full pay, or if a justice did not retire by 70 the president would assign them an "assistant" who had full voting abilities and would sit on the bench for them. Roosevelt argued the increased number of judges would make the court more efficient, his critics maintained he was attempting to bypass justices who had prevented several key parts of Roosevelt's New Deal Legislation on the grounds they (the Social Securities Act and National Labor Relations Act) granted unconstitutional powers to the executive branch. The Senate disagreed with Roosevelt and failed the court-packing bill 70-22. But amidst all of the upheaval and insecurity of the world, Americans still remembered to take time to appreciate the simple things in life. Laroka’s letter to the editor reminds us of the simple joys of outdoor seating. "God made outdoors, man made indoors." What an interesting perspective on life by Laroka, I think her perspective is more acute today than ever before. When was the last time you spent all day outdoors? If you have kids, how much time do they spend in front of a screen? I admit I have been very guilty of this lately, but I do try to get all four of them out side at least once a day. So many children are raised by their tablets and TV’s there’s even a new category of autism attributed to too much screen time, called Virtual Autism! Many of the letters included in the 1930’s Farmer’s Wife at least reference children. Obviously the future generation was important to women in the 1930’s as they are important to women now. Let’s take more time to listen to Laroka and invest in our children over a meal while we watch the sun set. 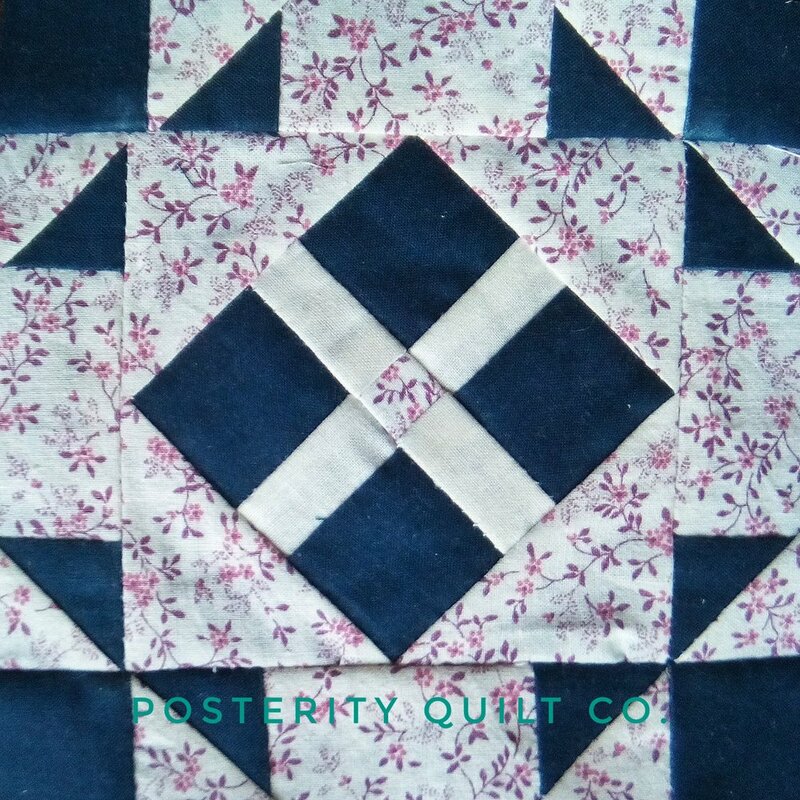 The Mary Gray block is and easy block and doesn’t require anything from you other than strait stitching! Take a look at the picture below and line up your pre-cuts and paper templates to match the layout in the picture. 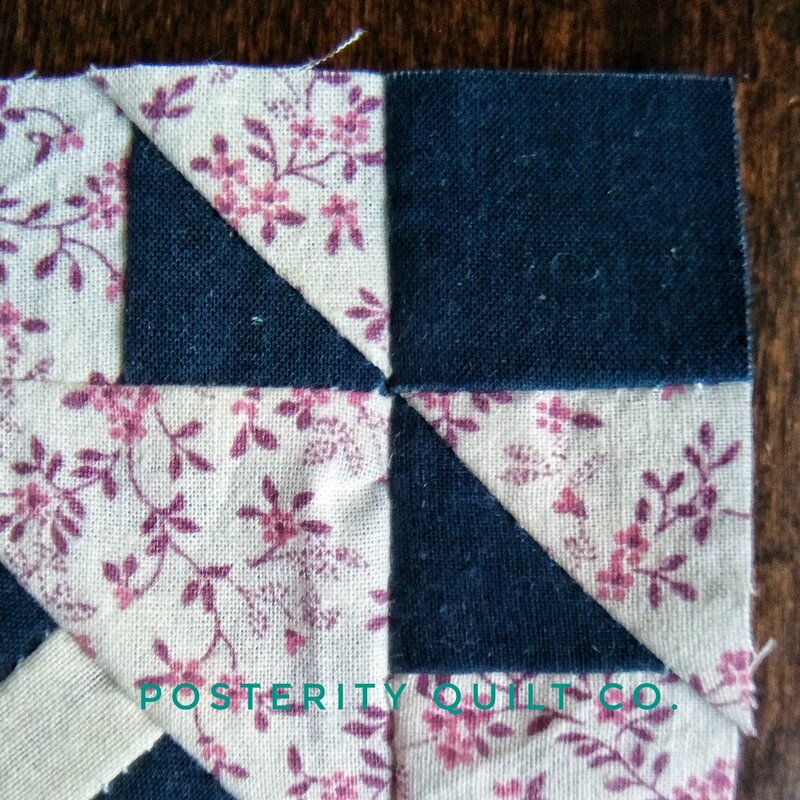 Start with the little triangles on the top and bottom of the block (D) and build up the larger half square templates. That’s really all you need to know! A (2) 4 1/2 x 4 1/2"
B (1) 1 1/2 x 1 1/2"
C (2) 4 x 1 1/2"
E (4) 3 3/4 x 1 1/2"
F (4) 3 x 1 1/4"
Click here for the original Farmer's Wife Magazine, the letter written by Thrilled of Missouri can be found on page 13. The potential for conflict in Europe was escalating in August 1935 as tensions between Germany and other weary European nations became strained. In France, Prime Minister Pierre Laval was facing economic pressures from his failing socialist policies, compounded by his failure to prevent the failure of the Austrian bank Creditstadt, whose bankruptcy set off a continent wide depression a few years prior. In the midst of weeks long strikes throughout multiple sectors of France’s economy, Laval chose to threaten to dissolve France’s parliament and implement a dictatorship in order to ensure economic austerity measures were enacted. In the United States, a large socially change was enacted when Franklin D. Roosevelt signed into law the Social Security Act on August 14, 1935. While there were later a number of amendments made to this original piece of legislation, the Social Security Act laid the foundations for America’s modern welfare programs. Taxes were levied on incomes and employers to develop a national fund to protect the elderly from economic insecurity and to provide a security net to the unemployed. Within the next few years a series of court cases surrounding Social Security were decided, including: Flemming vs. Nestor, which decided that Social Security contributors and recipients had no contractual rights to Social Security benefits: Helvering vs. Davies, which decided that the proceeds of both employer and employee taxes are to be paid to the Treasury like internal-revenue taxes, and are not ear marked in any way. Thrilled's letter to the editor sounds absolutely fabulous, building your own home on 35 acres with riverside access all debt free, that's too good to be true these days. But I suppose I'm romanticizing the idea of homesteading. Thrilled doesn't mention all the times something went wrong, or a project took forever to finish, or the river flooding or crop failing. While I envy Thrilled and the simplicity of country life, I need to remind myself to be thankful for all of the amenities of modernity and to be content with the blessings I currently have. The Lola block is easy enough and rather self explanatory. I did list the A HST's a little larger than is actually necessary so give you some wiggle room just in case. 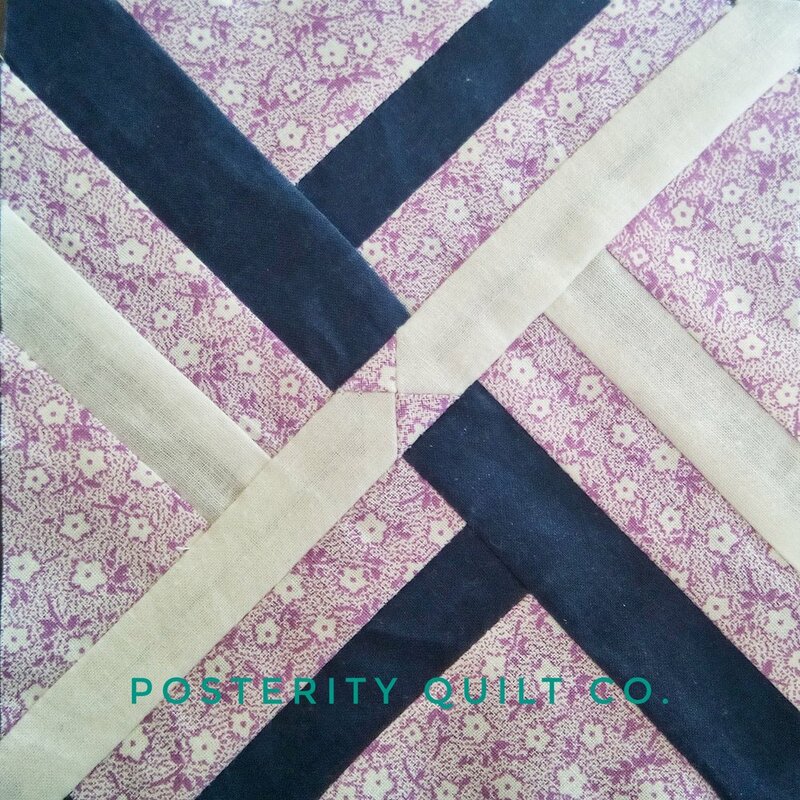 Remember to trim the block down to 6" when you're finished piecing and pressing! B (4) 1 1/4 x 3 1/4"
C (4) 1 1/4 x 1 1/4"
D (4) 2 x 2"
Click here for the original Farmer's Wife Magazine, the letter written by L.O.L. of Indiana can be found on page 26. Events that took place in April 1939 led directly to the outbreak of World War 2. Adolf Hitler secretly started Case White, an executive order to ready a standing army that would be capable of invading Poland by September of the same year. Within a number of days both England and France signed an agreement to support Poland in the event of a German invasion. Whether or not England and France knew of Case White, I don't know, but I think it's safe to say that the support promised wasn't very useful to Poland because the country fell to German occupation in roughly 2 weeks. The rest of the world was either already embroiled in war: Japan was building it's empire throughout Asia, Korea, and the Pacific; or praying that Chamberlain's Appeasement Policy would truly quell Hitler's desire for expansion. Looking back, it's easy to criticize Chamberlain, but his desire for peace was shared by many. The First World War, while 20 years past, was still fresh in the collective mind. Veterans who had survived the Great War wanted to spare their sons the horrors they had experienced. Particularly in America, the public was reluctant to sacrifice their boys to help solve Europe's problems. Most Americans were content to live life peaceably and focus on family and the daily tasks of life. After reading L.O.L. 's letter to the editor I can relate entirely with her! With four of my own, laundry is a never ending chore that I try to tackle every day. While I don't take an after lunch siesta, I do have my own quiet time early in the morning before anyone else is awake when I drink my coffee, read the news, and tend the garden when it's warm enough. Most people think that 5:30 am is an un-Godly hour, but I am a much more pleasant mother when I get my quiet time before everyone else is up and hit-the-ground-running to start the day. 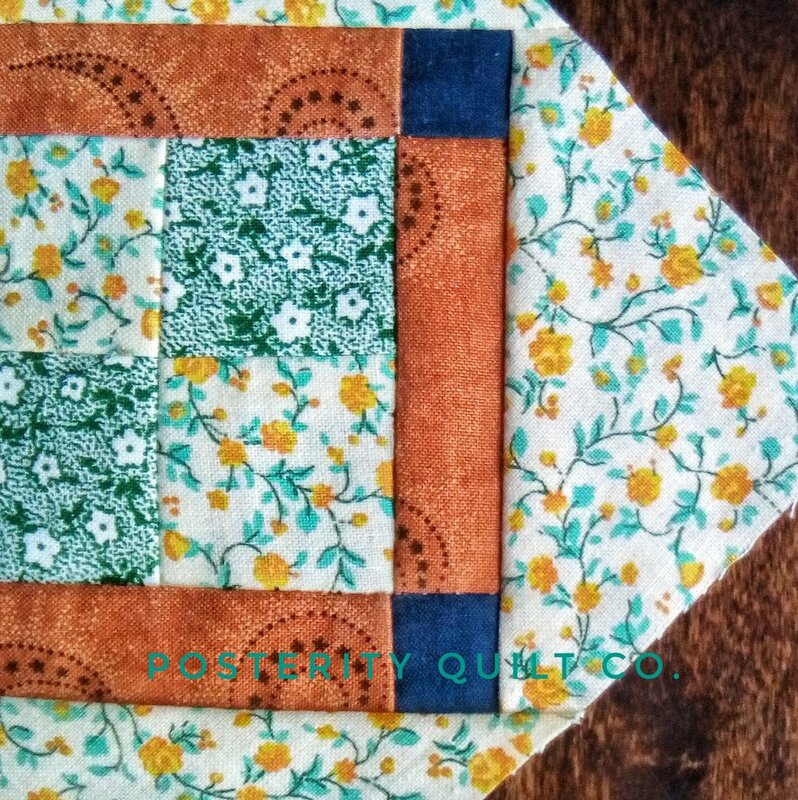 The Autumn block was simple enough to piece together. Start from the center and work you way out. I did run into a few hiccups, but those weren't related to the block itself, just my machine acting up. There is a small screw inside the machine that regulates the height of the dog feeds, and that small screw broke! Don't ask me how, but it doesn't have a head and the rest of the screw are constantly unthreading and lowering the feed dogs. Handsomepants promised to take a look at it for me, I'm so glad I have him around, he's good to me! Click here for the original Farmer's Wife Magazine, the letter written by Optimist From The City can be found on page 10. Upond the death of Paul Von Hindenburg on August 2, Hitler eliminated the position of president and buried Hindenburg's final wishes that the Hohenzollern monarchy be reinstated. Instead Hitler drafted and printed a nation wide "testament" in which Hindenburg praised "my Chancellor Adolf and his movement." This was not the government's only move to consolidate power in Germany however. The German National Evangelical Synod (a nation-wide council of churches supervised and funded by the government) decreed that all pastors and church members should swear allegiance to Hitler above anyone or anything else. German soldiers were also ordered to refer to Hitler as "Mein Furher" rather than "der Furher." These were just two of the numerous attempts by the German government to usurp any competing loyalties of the German people. Devotion to God was allowed only if it came second to the Furher. Love of family was allowed only if it came second to the Furher. Love of country was set above personal interest and well being. To an extent this was appealing to the German public, a chance to believe in and work for something bigger than yourself. Germany had been suffering from the destruction of the Great War, a decimated workforce, and an over inflated currency for nearly 20 years. The opportunity to improve life and community was a welcomed change compared to living in a constant depression. Sometimes when I read women's letters to the editor there is something about them that makes me contemplate what life was actually like in the 1930's. In high school and college I studied a bit about the Great Depression. I read economic theories and unemployment numbers, but I guess it's true when they say 'a single event is a tragedy, a mass event is a statistic.' These letters personalize the history that I've read about in textbooks, sometime's I'm reminded that actual people actually lived through these events. A (1) 3 1/4 x 3 1/4"
G (4) 2 1/2 x 1 1/2"
The Pharlemia block can be a little tricky because of the 2 Y-seams at each corner of the block. Get your strait pins ready! 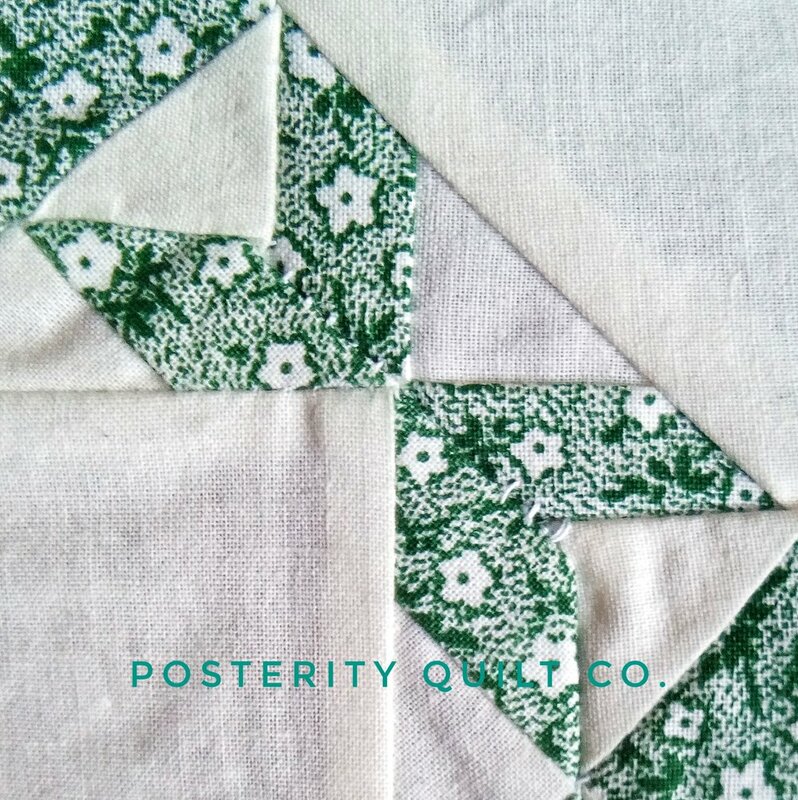 For some reason, some of the Y-seams were no problem for me, but others I had to re-sew multiple times. I don't know why some worked better than others, considering my method never changed, but I guess that's the way it goes sometimes. Click here for the original Farmer's Wife Magazine, the letter written by Mrs. J. M. L. in Iowa can be found on page 40. The Soviet Union announced the second implementation of it's infamous Five Year Plan, nine months sooner than anticipated. The 5 Year Plan had been a economic brain child of Stalin intended to modernize and industrialize the Soviet Union at a rapid pace. To some extent the 5 Year Plan was successful, urban populations doubled as industrialization expanded, steel production increased by around 350%, and an infrastructure productive enough to minimally support the Soviet Army through the second world war was created. In much larger part though, the 5 Year Plan was a horrific failure. The backbone of the 5 Year Plan was forced labor, the dissolution of private property, and the murder of those who resisted. In order for industrialization to take place, workers were needed to run the factories. Most often factory workers were forced to leave their rural homes through conscription. In order for factory workers to survive, urban areas were subject to collectivization; which was largely attained through the execution or imprisonment of farm owners whose properties were then farmed by peasants for the government. The majority of the crops harvested were then taken to the cities and distributed to factory workers. Famine was a constant state of being in rural regions of the Soviet Union because very little was left for the farmers themselves. An estimated 6-7 million rural inhabitants died, and an additional 3-4 million died as a result of agricultural collectivism. In the United States, most people were busy keeping their nose to the grind stone and counting their blessings as the American economy began an upswing in production and income for the first time in nearly a decade. New technologies, the development of national energy infrastructure and the movies were making American lives easier ad more entertaining.. But some difficulties still remained, as they remain today: being sick. I like thatMrs. J. M. L. chose to see the silver lining of her quarantine and treat it is as a vacation rather than bemoaning her misfortune and poor luck. Sometimes when life hands you lemons, you need to make lemonade in the form of physical rest and mental restoration. Personally I like to find my little vacations in the forms of coffee, Chips A'Hoy, and Judge Judy reruns (because they make me feel intelligent.) Now you know my dirty little secret! The Mollie block was fun to piece and is an interesting take on a Shoo Fly block. Do be sure to pre-color your pieces so you don’t get lost while piecing it. There are lots of little HST’s in this block, so make a little effort early on to save yourself from a headache later. A (1) 2 1/2 x 2 1/2"
B (4) 1 x 2 1/2"
C (8) 1 1/2 x 1/2"
D (8) 1 1/4 x 1 1/2"
F (4) 1 x 3 3/4"
G (8) 1 1/4 x 1 1/4"